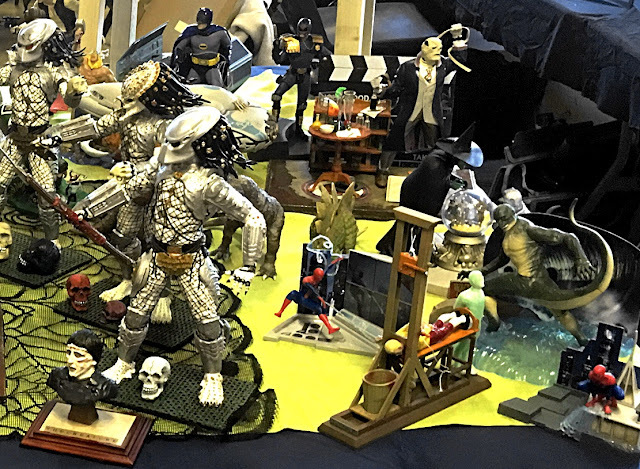 Mat Irvine: The big idea of the MEDIA MODELLING show is to display models based on anything you might see in the media - taking their inspiration from the movies and TV. But MEDIA MODELLING isn’t just about the worlds of film and television, and it’s not just about space and science fiction themes - instead the focus is on all subjects. All subjects? 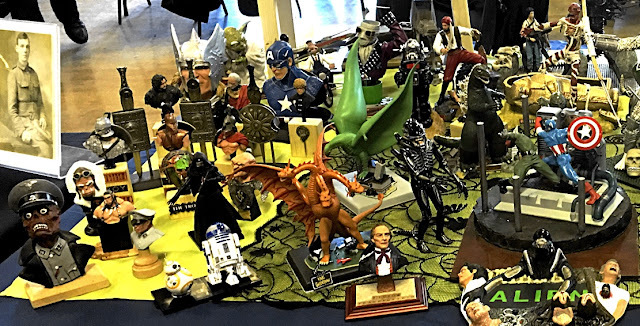 The origins of a model could be in a book, the theatre, video game play, images on albums or CD covers, or even an important news event… the MEDIA MODELLING interpretation is very fluid. For example, a Spitfire fighter counts as a possible MEDIA MODELLING entry, for as well Spits being in the ‘real’ Battle of Britain, the plane has also featured in countless ‘reel’ Battle of Britain and World War II movies. Spot the movie that inspired these miniatures (above, below). World War II stars in this diorama (below) of a Westland Lysander delivering a British spy to a group of French resistance fighters. The media connection is the BBC TV series Moonstrike that aired in the 1960s. A combo of aerospace and automotive kits (below left) makes a fine interpretation of a ZZ Top rock album sleeve. The model of a Cessna lightplane (below) dramatises the 1987 flight of Mathias Rust, a teen pilot who landed in Moscow, near Red Square and the Kremlin. Location for MEDIA MODELLING is the usual HaMeX events zone: Hanslope Village Hall, Newport Road, Hanslope, Bucks MK19 7NZ. 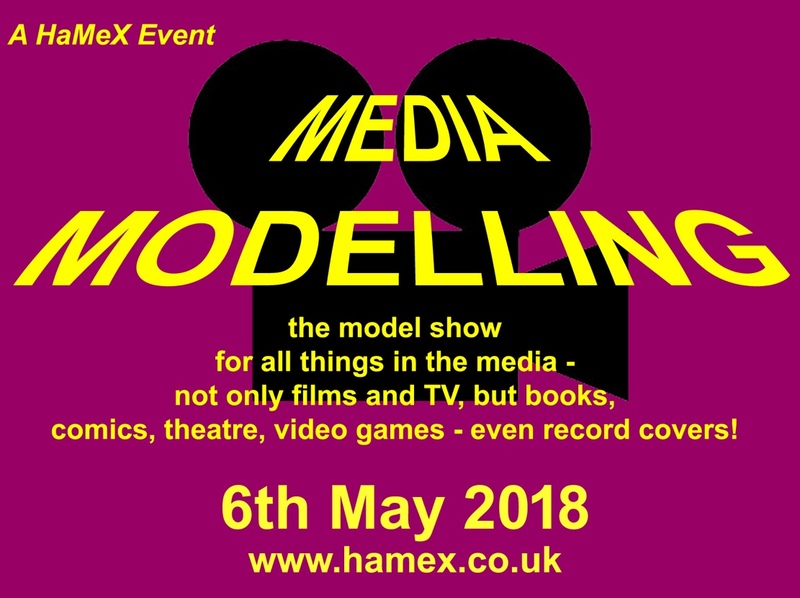 Click here for full details of the MEDIA MODELLING show.